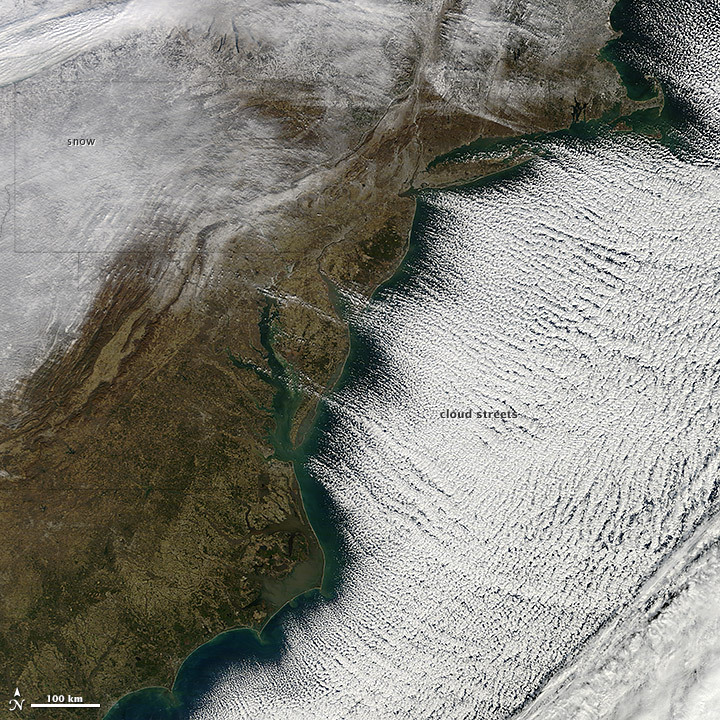 In the midst of a cold snap that sent temperatures 20–40°F (11–22°C) below normal across much of the United States, the Moderate Resolution Imaging Spectroradiometer (MODIS) on the Terra satellite captured an image of cloud streets over the Atlantic Ocean on January 7, 2014. 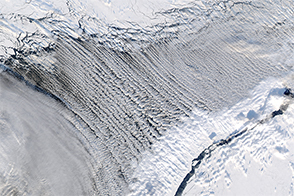 Cloud streets—long parallel bands of cumulus clouds—form when cold air blows over warmer waters and a warmer air layer (temperature inversion) rests over the top of both. The comparatively warm water gives up heat and moisture to the cold air above, and columns of heated air called thermals naturally rise through the atmosphere. The temperature inversion acts like a lid. When the rising thermals hit it, they roll over and loop back on themselves, creating parallel cylinders of rotating air. As this happens, the moisture cools and condenses into flat-bottomed, fluffy-topped cumulus clouds that line up parallel to the direction of the prevailing winds. 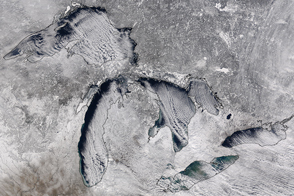 On January 7, the winds were predominantly out of the northwest. 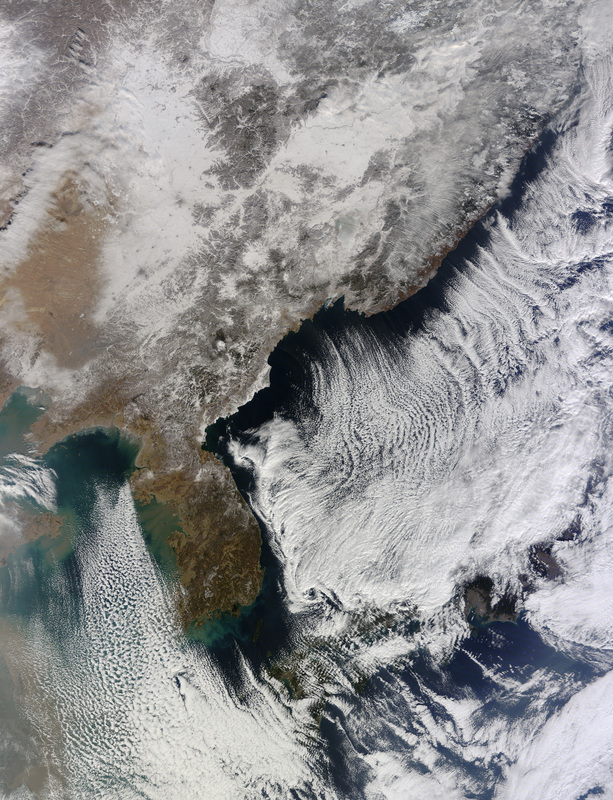 Cool weather in eastern Asia also spurred an outbreak of cloud streets over the Sea of Japan recently. 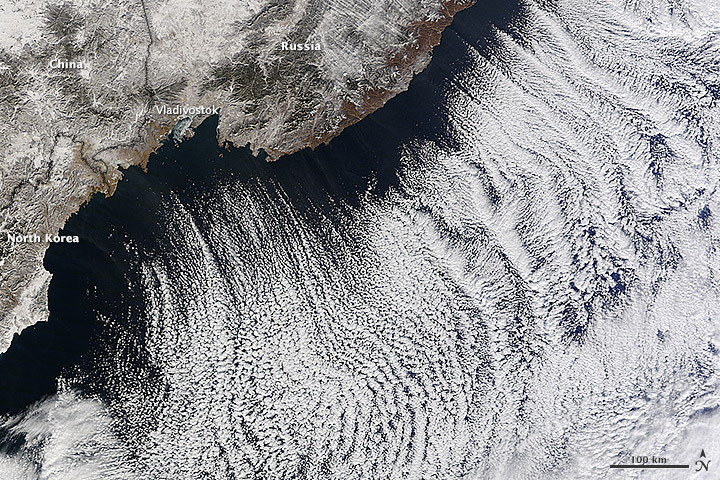 On January 9, 2014, MODIS captured this view (below) of cloud streets spurred by northwesterly winds. 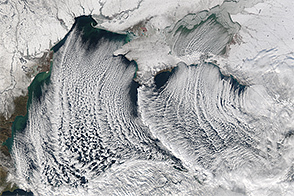 On that day, the high temperature in Vladivostok, Russia, was 10°F (-12°C) and the low was -7 °F (-21°C). 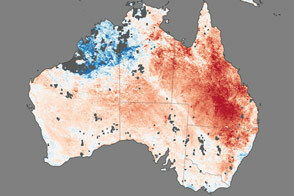 NASA Earth Observatory image courtesy Jeff Schmaltz LANCE/EOSDIS MODIS Rapid Response Team, GSFC. Caption by Adam Voiland. 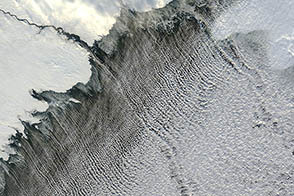 In the midst of a sharp cold snap, the Terra satellite captured this image of cloud streets over the Atlantic Ocean. EarthSky (2005, April 24) What are cloud streets? Accessed January 10, 2014. KNMI Cloud Streets: Meteorological Physical Background. Accessed January 10, 2014. 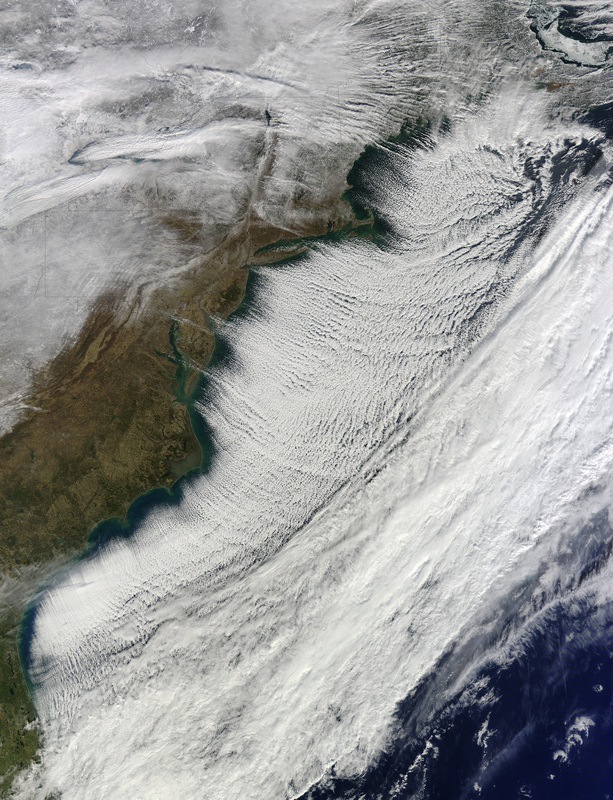 NASA Earth Observatory (2011, January 24) Winter Cloud Streets, North Atlantic. 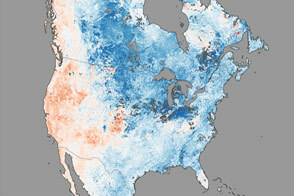 Washington Post (2014, January 8) Polar vortex of 2014 lackluster compared to past cold waves. Accessed January 10, 2014. Weather Underground (2005, April 24) Cloud Streets. Accessed January 10, 2014. Weather Underground (2014, January 9) Weather History for Vladivostok, Russia. Accessed January 10, 2014.